I am conscious that many of the visitors to Vegging Out are from the United States, so for this post I wanted to focus on finding local fruit and vegetable suppliers in the US. I’ve been searching the web high and low and here are the best three websites that I’ve found so far. PickYourOwn.org helps you find farms in your area where you can pick your own fruits and vegetables. The site also gives you picking tips, plus instructions on how to preserve your fruits and veg, as well as recipes for jams, soups, sauces, ice cream and more. To find a Pick Your Own farm near you, click on your state then narrow the search to your local area using their maps and links. I worked in the United States for a year, so I chose the place I worked in Pennsylvania for my test. I located a strawberry farm and a blueberry farm, which also sold homemade pies, cakes, muffins, jams and jellies. The United States Department of Agriculture’s website for Agricultural Marketing Services, provides a service called the ‘Farmers Market Search’. They aim to maintain a current listing of farmers markets throughout the US. Simply use the search fields to find markets in your area. Again, I used my Pennsylvanian example to see how the site worked and found the Wayne County Farmers Market in Honesdale, which is open from May to October from 9am to 1pm. Full addresses and phone numbers are also supplied. Local Harvest is a community style website with lots to offer, including a ‘Food/Farm Event’ calendar, a regular newsletter and a forum. In the ‘Farms’ tab I searched for Honesdale in Pennsylvania and found 16 entries, which included growers of a range of fruits, vegetables, nuts and mushrooms, plus a wheatgrass grower, an alpaca farm and a flower market. I found an interesting time-lapse video on YouTube, which shows how fruit and vegetables degrade over a period of 74 days. One photograph was taken every 40 minutes to make this film, which is replayed at 30 frames per second. You can find out how this video was made at Henry’s Webiocosm Blog. Tomatoes are bursting with goodness and look great on the plate, but sometimes you want to do something different than just put them in a boring cold salad. From chutney and jelly to pasta and quiche, and hot and cold soups, here are a range of tasty tomato recipes to try. Tomatoes are bursting with goodness. 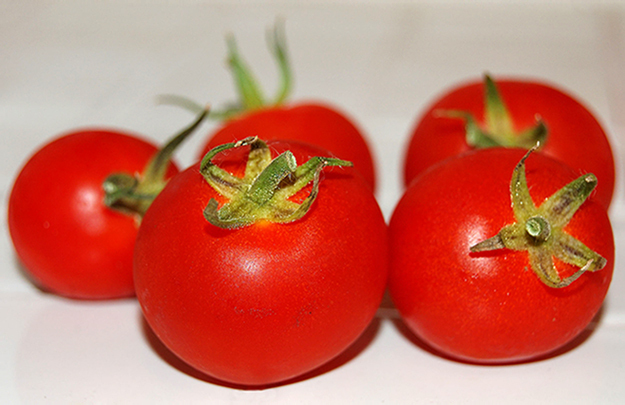 Find out all about the nutrients in tomatoes. The Free Rice website runs a series of free multiple-choice games, which are a fun way to pass a spare minute and give your brain a good workout. There’s no signing in and no joining up, you just go to the site, choose your subject and play. You can test anything from your vocabulary to world capitals, chemistry symbols, famous paintings, maths and languages. For each answer you get right, 10 grains of rice are donated to the hungry via the United Nation’s World Food Program. Ten grains of rice doesn’t sound a lot, but the grains soon mount up and the more people that play, the bigger the donation – so spread the word! The rice is paid for by sponsors who have small, unobtrusive adverts on the site. It is sent to places in the world where people need it most. According to the UN, about 25,000 people die each day from hunger or hunger-related causes. Each time you click you make a difference even if you play for just two minutes a day. It’s a fun way to pass a few moments and, as you train your brain and improve your concentration and thinking skills, you’ll be feeding the world’s most vulnerable people, too. Radishes are more versatile than most of us give them credit for. Granted, they are lovely in a fresh salad, but I think it’s time to give the radish a new image. In anticipation of harvesting my first crop of radishes in a couple of weeks’ time, here are some recipes that make more use of these little red balls of fire. From radish dips, sandwiches and chips to curries, tarts and a pasta dish, there are lots of things to try.